Another shooting involving police has left America grieving. Louisiana Governor John Bel Edwards' responded to the Baton Rouge shooting that took place Sunday morning and left multiple police officers dead, posting on Twitter that the state of Louisiana was using all available resources to "ensure the perpetrators are swiftly brought to justice." "This is an unspeakable and unjustifiable attack on all of us at a time when we need unity and healing," Edwards wrote. Three police officers are dead following the shooting, which local news station WAFB reported occurred near a B-Quik convenience store near Airline Highway at around 9 a.m. on Sunday morning. 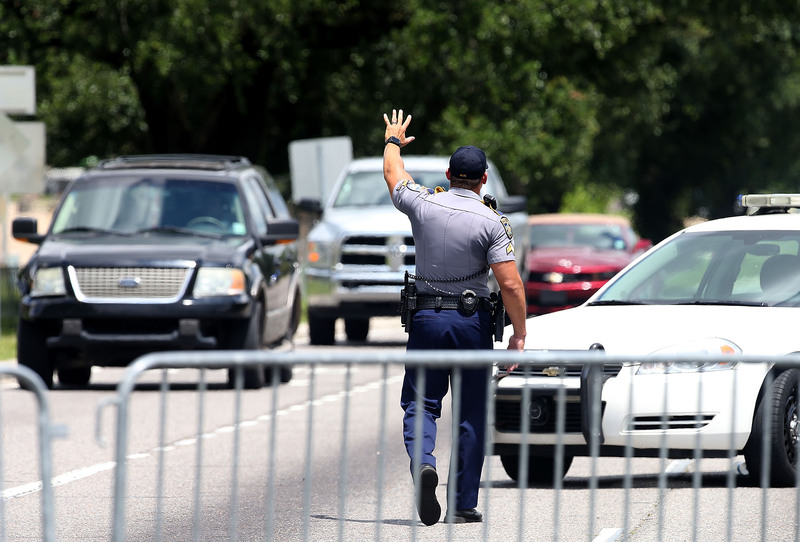 The shooting is still under investigation; however, Baton Rouge Mayor Kip Holden told MSNBC that it appears that police were already responding to a call that there had been gunfire, when shots were opened on them. The police officer shooting in Baton Rouge comes only a few weeks after 37-year-old Alton Sterling was shot and killed by Baton Rouge police on July 5. Following Sunday's shooting, parts of Airline Highway were closed off by police, and residents in the area were told by police to stay indoors while the scene was still being investigated. Photos and tweets following the incident showed a heavy police presence as officials rushed to where the shooting took place. He later tweeted that an official press conference would be held at 3 p.m. Earlier this month, Governor Edwards met with President Barack Obama and other leaders to discuss safety and community in the aftermath of Alton Sterling's death, and the death of five Dallas police officers. "Law enforcement officers must carry out their sacred duty to protect and serve in a way that earns the trust of our communities," Edwards said in a statement posted to the Office of the Governor of Louisiana's website. "At the same time, all Louisianans must make their voices heard in a constructive way that brings us closer together and makes true progress a reality." Edwards has been governor of Louisiana since January 2016.